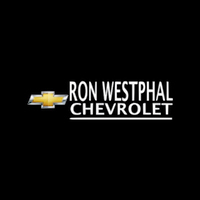 Ron Westphal Chevrolet in Aurora, Illinois is a one stop shop to purchase or finance a new Chevrolet vehicle. Our dealership is reputed for exceptional customer care. If you are trying to find a new Chevrolet vehicle to drive in Aurora contact us today at our customer care number or make your way to our dealership at Ron Westphal Chevrolet Aurora, IL. The Finance Center of Ron Westphal Chevrolet is providing numerous auto financing solutions for its customers with all sorts of credit history. You can get yourself pre-qualified for a car loan by filling up our online auto financing application. Before the actual purchase of your new Chevrolet we recommend you take a test drive of your favorite vehicle. For this, you can fill out the simple Schedule Test Drive Form online. Enter specific vehicle’s details and select a date and time according to your availability. Ron Westphal Chevrolet in Aurora, Illinois will provide you the first ever behind the wheels experience of your dream car. Visit Ron Westphal Chevrolet in Aurora, IL today, get your favorite new Chevrolet financed from our reliable Finance Center and enjoy the test drive of all new Chevrolet vehicles.